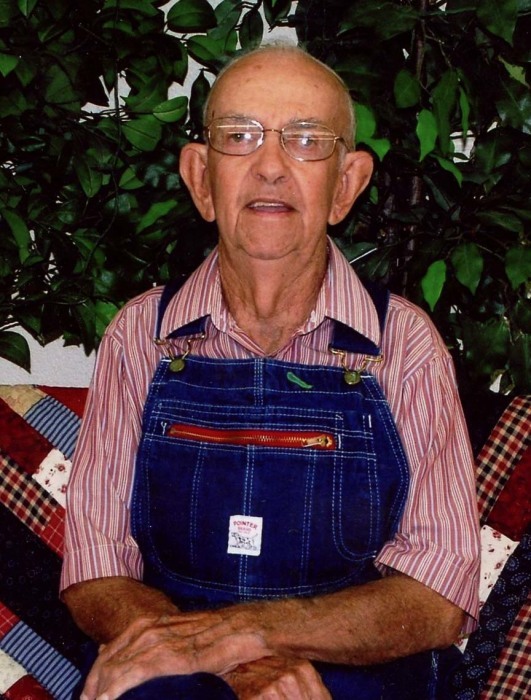 Roy Curtis Carroll, 93, of Reidsville, NC went to be with the Lord Thursday March 28, 2019 at Annie Penn Hospital. Funeral services will be conducted 3:00 P.M. Sunday March 31, 2019 in Citty Funeral Home Chapel . Burial will in Pleasantville Primitive Baptist Church Cemetery. A native of Rockingham County, he was a son of the late Roy and Gracie Gammon Carroll and had lived in Rockingham County his entire life. He was a former employee of Big Bill Bottling Co. and was a retired employee of Macfield, Inc. He enjoyed planting a garden and was known for the tomatoes he raised. Curtis looked forward to every Tuesday night going to “The Barn” to listen to Blue Grass Music. He was preceded in death by his wife: Ernestine “Teeny” Carroll, a son: Gurney Carroll, a grandson: Tony Orr, and a great grandson: Robert Jackson Dean, and four sisters. Survivors include daughters: Patsy C. Dix (Bobby) of Yanceyville, and Donna C. Coe (Steve) of Reidsville, brother: Elmer Forest Carroll (Evelyn) of Reidsville, sisters: Virginia Vervrugge and Alice Haggerty (Graham) both of Canada, grandchildren: Steven Bruce Coe, Jr. (Kristi), Jenny Dean (Jimmy), William Curtis “Willie” Coe, and Naomi Pritchett (Butch), eight great grandchildren, and five great great grandchildren. The family will see friends 6:00 till 8:00 P.M. Saturday March 30, 2019 at Citty Funeral Home and at other times will be at his residence.